I want to fetch more data from my mongodb, I've inserted some images[400 thousands with 224*224 in JPEG format] via ExportByteArray. When I get the data from Mongodb, I can only fetch 7000 documents. If I want to get more, like 20000, The AbsoluteTiming is 0.03s, and returned nothing. so it's not the problem like timeout problem. 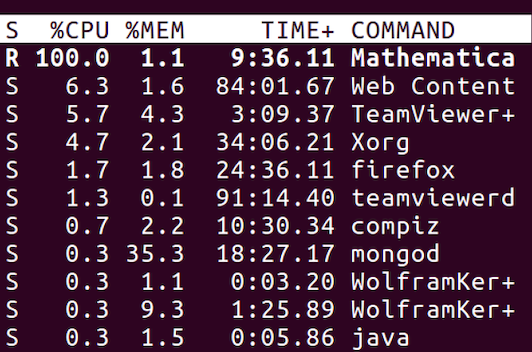 When I'm looking at in terminal, I didn't see the increasing of memory usage. Is it just the out of memory problem? How can I get more debug information from Mathematica? I've tested that 4000 images with 224*224 size need low memory.